"Ladies Night, Oh What a Night"
If you've seen Suicide Squad, it's probably safe to say that you have a strong opinion on it. Maybe. If you care enough about DC's Extended Universe of films. Two guesses for an answer to the question of what arguably was the best part of the David Ayer directed film: Will Smith as Deadshot (depending on who you ask) and near unanimously Margot Robbie as Harley Quinn. Financially the film was successful, making well over $700 million worldwide; there were lots of folks who were excited to see it, hoping it would be the turning point for DC's superhero films. Alas, it was not to be. 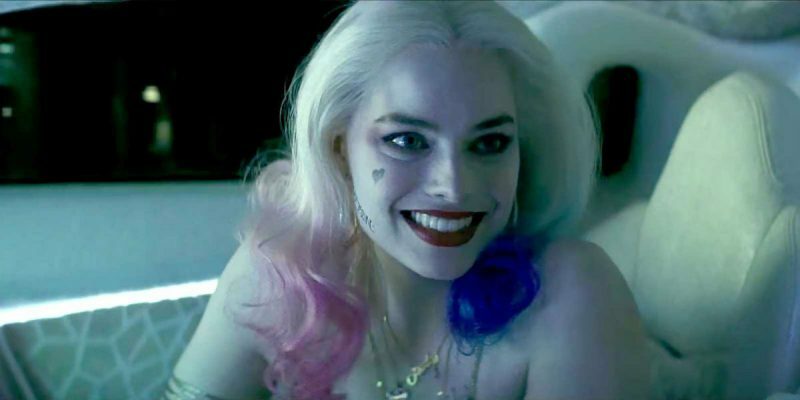 With pacing and plotting issues as well as fundamental structuring and writing issues, critics and some fans of the Suicide Squad characters had problems with the film, but you'd be hard-pressed to find anyone who didn't think that Margot Robbie's turn as Harley Quinn wasn't a strength of the film. She was so strong in fact, that those who want more of her will get just that. Vanity Fair reports that an all-female led spinoff is more than likely to happen and it's pretty clear that Robbie will be back in full force. Details on the story, plot or who else will be starring alongside her as of yet are scarce, but we do know that Robbie will serve as an executive producer on the film along with David Ayer. We also know that Geneva Robertson-Dworet scribe for the upcoming Tomb Raider reboot, is writing the script for the Harley Quinn led flick. As cool as this sounds, it does raise the question of why a female isn't directing this picture? (David Ayer is returning to helm this one). Well, we can't all have what we want. It's a shame that Patty Jenkins is too busy with the Wonder Woman movie. The film titled, Gotham City Sirens is based on the comic series of the same name and it typically features a colorful cast of characters on the wrong side of the law, such as Catwoman and Poison Ivy. No release date is available for Sirens yet, but Robbie is a very busy woman these days with several projects in the works with Warner Bros. including other as yet unnamed projects she'll be developing for her Lucky Chap production company. Before we see any of those though, we'll have to be content with enjoying her paint Gotham City red like the Joker's lips.